A. The candidates and offices on a particular ballot will differ depending on the county and districts in which you reside. 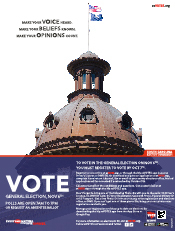 To find out what candidates will appear on ballots in your county visit www.scVOTES.org and click "General Election Candidates by County," or call your county election commission. A. At the polling place in your precinct. 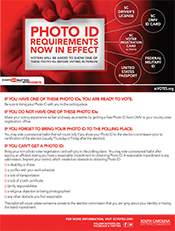 Your precinct and polling place are listed on your voter registration card. 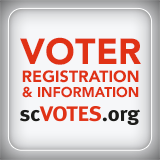 To ensure your polling place hasn't changed since your card was issued, check your voter registration by visiting www.scVOTES.org and clicking "Check Your Voter Registration." 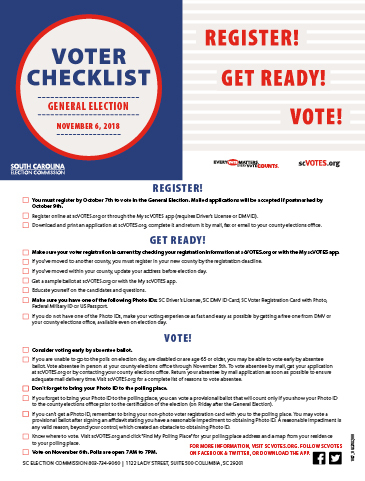 Columbia, SC (October 27, 2010) - The State Election Commission (SEC) wants to remind voters of impending deadlines for voting absentee in the General Election. Voters who qualify may cast an absentee ballot in one of two ways: in person or by mail. The SEC recommends voting absentee in person due to the risks associated with voting by mail at this late date. 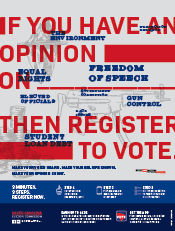 In Person - Visit your county voter registration office, complete an application, and cast your ballot. You may vote absentee in person up until 5:00 p.m., Monday, November 1st. Step 1: Contact your county voter registration office as soon as possible to request an absentee ballot application. The request may be made in person or by phone, mail, email, or fax. Columbia, SC (October 20, 2010) - Absentee voting is underway throughout South Carolina, and the State Election Commission wants to inform voters about associated procedures and deadlines. Voters who meet one of the qualifying reasons listed below may cast an absentee ballot in one of two ways: in person or by mail. COLUMBIA, S.C. (September 24, 2010) - To help ensure voters are prepared for the upcoming General Election, the State Election Commission wants to remind everyone of the upcoming voter registration deadline and urge those already registered to update their information. Those who wish to vote in the General Election on November 2nd must be registered by October 2nd. Voters who have moved from one county to another must be registered to vote in their new county by the deadline. 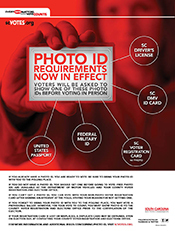 Scan the form and email the image as a file attachment to your county voter registration office (received by October 2nd). The S.C. House of Representatives District 79 Special Primary was held to replace the Democratic Party's nominee for the November 2, 2010 General Election. The Party's former nominee, Anton Gunn, withdrew on August 17, 2010.